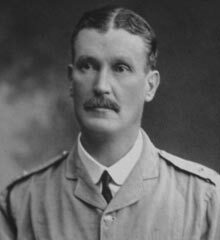 John Staples Molesworth Lenox-Conyngham was the third son of Sir William F. Lenox-Conyngham K.C.B. of Springhill House, Moneymore. John S.M. Lenox-Conyngham joined the army in 1881. 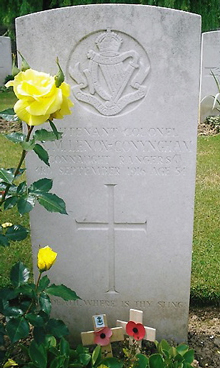 By 1906 he was second in command of the 2nd Battalion Connaught Ranger. He retired in 1912. At the outbreak of the War he became Commanding Officer of the 6th Battalion Connaught Rangers, He was killed in action on 3rd September 1916 during the Battle of Guillemont.